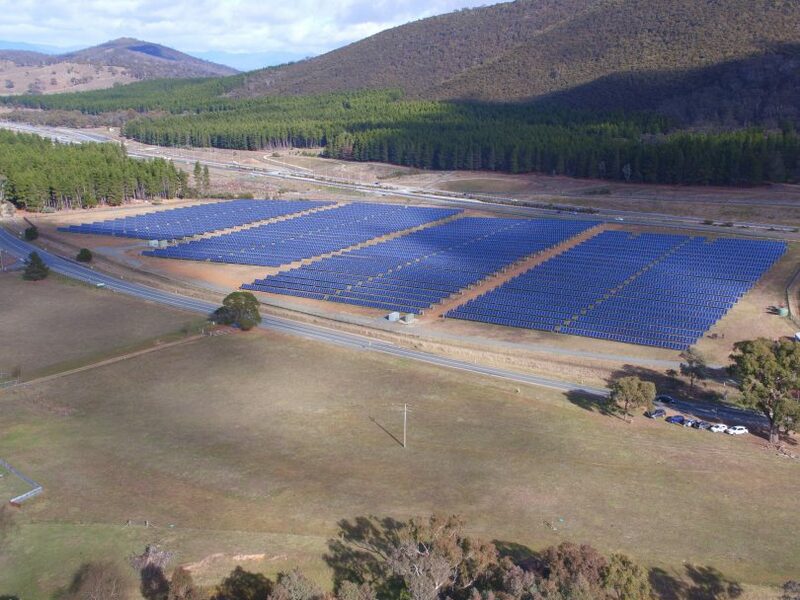 The Mt Majura Solar Farm is part of Canberra’s solar highway and creates enough renewable electricity each year to power around 3,000 Canberra homes. The ACT, South Australia and Tasmania are all leading the renewables race while the Federal Government remains stuck at the starting block, according to a new report released by the Climate Council yesterday. The report says that states and territories are the driving force behind Australia’s transition to clean, affordable and efficient energy and storage technology. 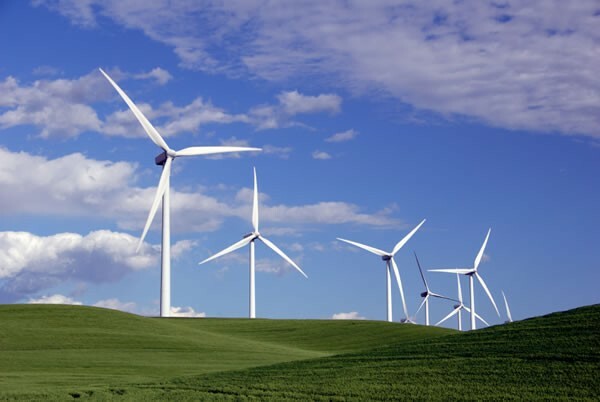 The ACT is named as one of the frontrunners in the ‘Renewables Ready, States Leading the Charge’ report – listed equal second with Tasmania, with South Australia just ahead. “Tasmania, South Australia and the ACT continue to lead on percentage renewable electricity, and have the most renewable energy capacity per capita (excluding large-hydro),” states the report. The Climate Council report states that in the absence of energy and climate policy at a national level, all states and territories except Western Australia now have strong renewable energy targets and/or net zero emissions targets in place. “State and territory targets, plus existing and announced coal closures (such as Liddell Power Station) are expected to deliver the Federal government’s 2030 emissions reduction target of 26-28% reduction on 2005 levels, even without any action from the Federal Government,” the report states. The Climate Council report singles out the ACT for being the first state or territory where both major political parties have provided bipartisan support to its renewable energy target of 100 per cent renewable electricity by 2020. “In the context of national policy uncertainty, the ACT was able to capitalise on its ‘first mover advantage’ and a buyer’s market, by attracting some of the best renewable energy projects at low prices,” the report states. The report states that the ACT Government has been progressively transitioning to renewable power sources since 2012, by holding five large-scale renewable energy reverse auctions aimed at purchasing renewable energy from wind and solar projects at the lowest price. “The ACT’s reverse auctions have supported 600MW of wind power and 40MW of large-scale solar, with the projects supporting jobs and training opportunities across Canberra, Victoria and South Australia,” the report states. ACT Minister for Climate Change and Sustainability, Shane Rattenbury, said that in the absence of ambitious national action on climate change it is important for states and territories to play a strong role. “Canberra is leading the nation with our progressive targets of 100% renewable electricity by 2020, reducing emissions by 40% by 2020, and achieving net zero emissions by 2050 at the latest,” Mr Rattenbury said. What do you think of the ACT’s role in the renewables race? How important is it for the Federal Government to take more of a leading role? Let us know your thoughts in the comments below. Its costing us hundreds of millions of dollars so far and all that money goes overseas. A very small fraction of that money creates any jobs here in Australia . Infact it is de industrialising the country . soon we will make nothing and have to rely on other countries kindness to live. I believe if war breaks out with North Korea shipping lanes will be closed and Australia will get no fuel. we wont last 2 weeks . Some common sense at last from the Federal government who announced today that are going to keep the Liddel coal fired power station in the Hunter Valley operating for at least another 5 years. It will be interesting to see if Labor instead close it down when they are elected as surely they will be. It’s impossible to get anyone at ACTPLA to give actual details of the new regulations limiting inverters to 5kW for exporting to the grid. The Greens didn’t even know this had happened. It appears that the ACT government has “nationaised” all future home solar installations. Not to mention the new standards for battery storage being discussed that may require a 1.5m fireproof “bunker” to be built away from the house, adding so much cost that solar/battery systems will take a lifetime to pay back before becoming profitable. That is if your Canberra yard even has space for such an addition. Let us hope sanity prevails and those pushing for these changes (energy supply companies obviously) see sense before ruining any chance of us buying home solar installations in the future. While the government and suppliers might be cheering about this, it will be consumers who foot thge bill. As the other states continue to chew up coal, we will inevitably see our power prices rise above them, due to the costs of green power. It isn’t so right now, but how can our green energy targets be met while most customers pay coal prices? Inevitably all of us will have no choice in the matter and then be forced to pay whatever figure they put on it. Also, home solar is being regulated into extinction. The tariffs and stringent requirements are making home solar both unaffordable and not worth installing. Gone are the days where you got a good deal, now you export it all for next to nothing and pay thtough the nose for grid power. Even battery storage is being regulated so much you can’t create a system that will save you money, but instead the standards place a cap on your system size to ensure your reliance on Actew, Origin and all the other rip off merchants. Google it, there are folks spending thousands only to find they are saving almost nothing on their power bills.